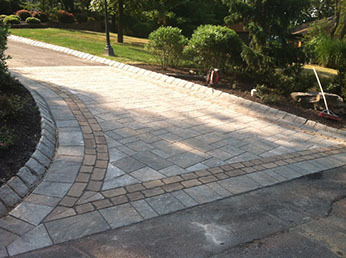 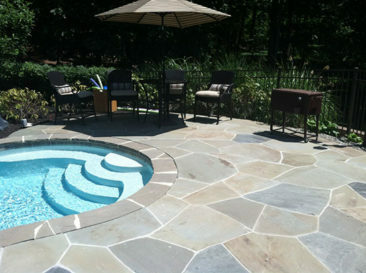 This gorgeous pooldeck is composed of random shaped bluestone patterned in a natural mosaic design. The natural textures, colors, and shapes of the bluestone blend in the pool with the natural surroundings. 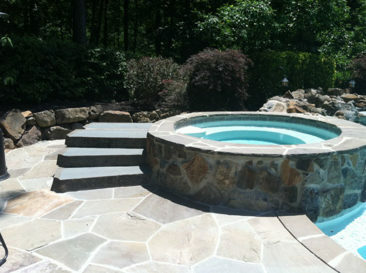 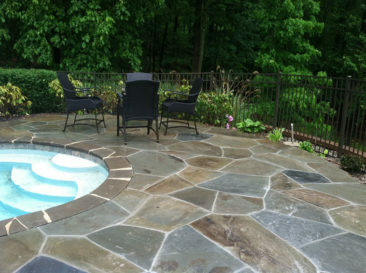 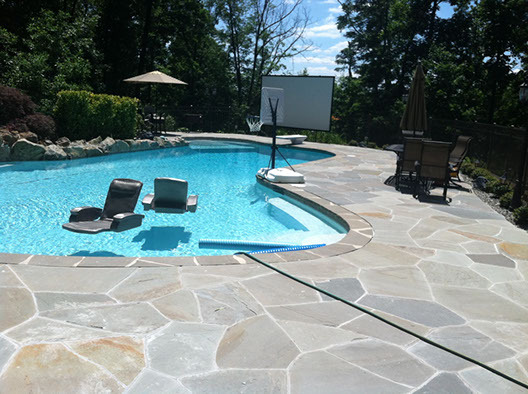 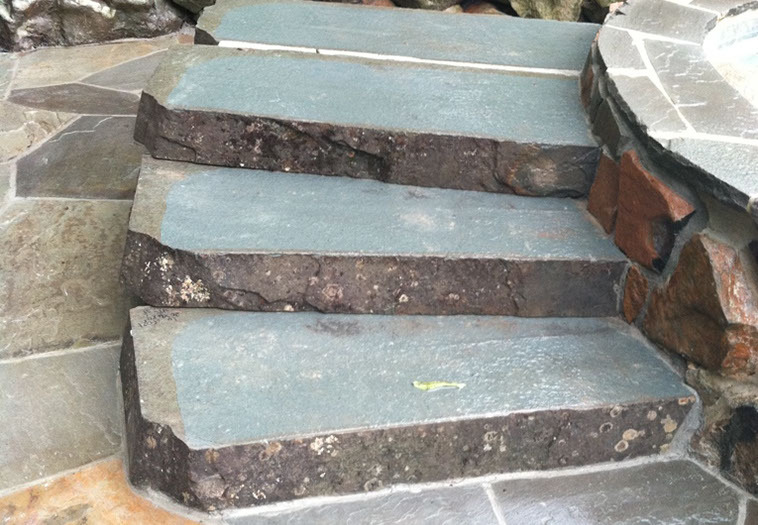 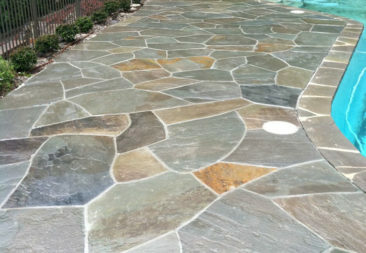 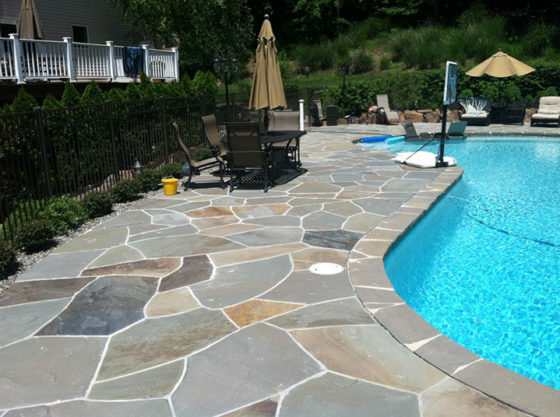 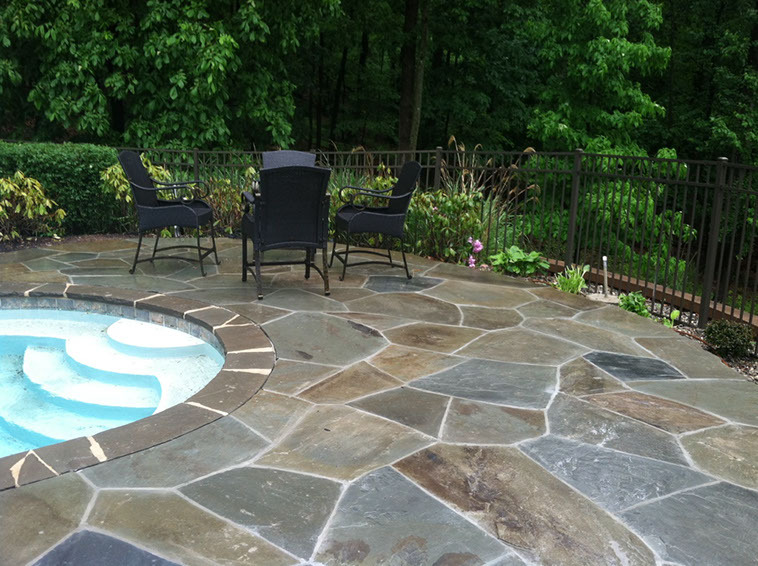 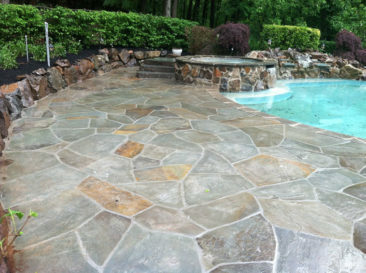 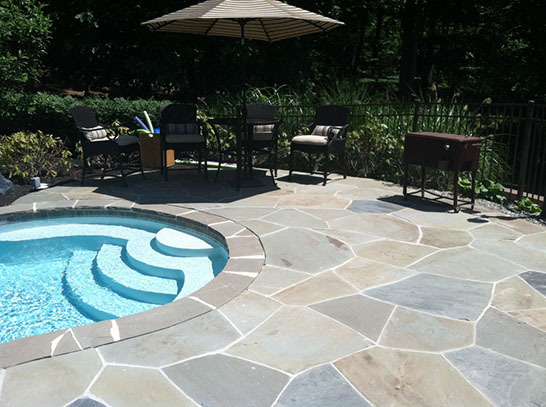 The neutral flat grey colors of the bluestone also help make the light blue color of the pool stand out. 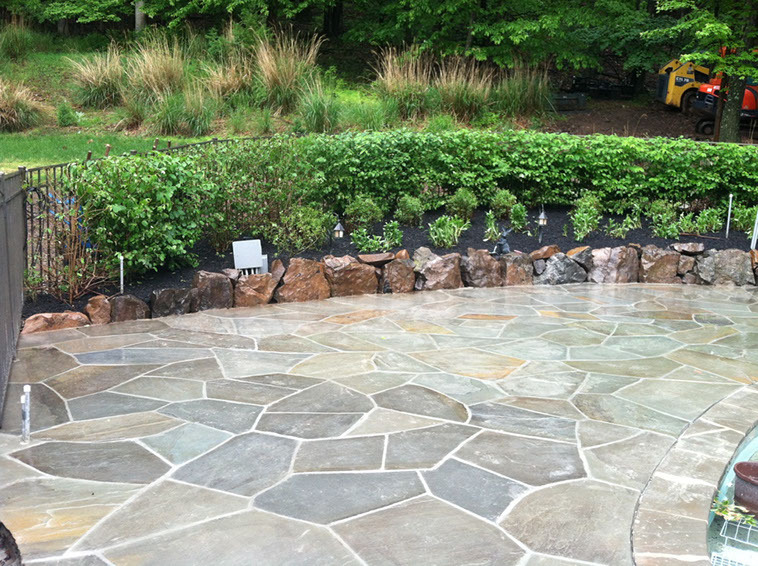 Natural boulder retaining walls, stone veneered raised spa, bluestone pool deck combine to make this a beautiful hardscape design. 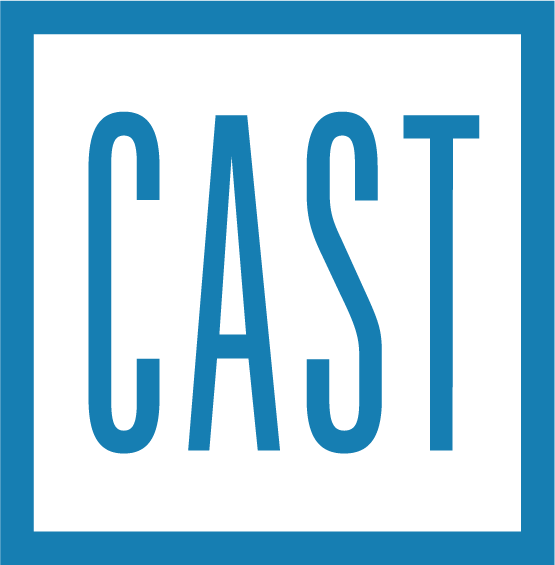 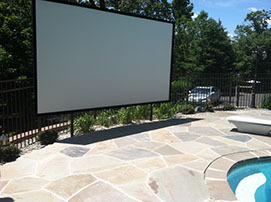 There is a large outdoor flat panel HDTV for watching tv outside. 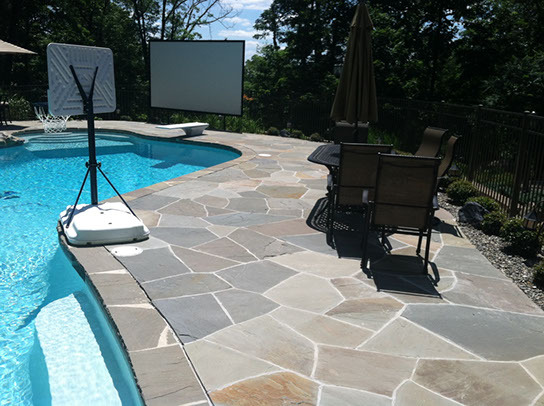 This tv is fully weatherproof. 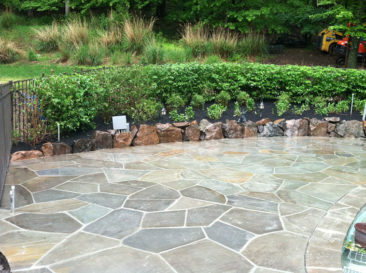 Having an outdoor tv and audio system really brings the entertainment outside.